Scotland, 1860. Reverend Alexander Ferguson, naive and newly-ordained, takes up his new parish, a poor, isolated patch on the Hebridean island of Harris. His time on the island will irrevocably change the course of his life, but the white house on the edge of the dunes keeps its silence long after Alexander departs. It will be more than a century before the Sea House reluctantly gives up its secrets. Ruth and Michael buy the grand but dilapidated building and begin to turn it into a home for the family they hope to have. But their dreams are marred by a shocking discovery. The tiny bones of a baby are buried beneath the house; the child's fragile legs are fused together - a mermaid child. Who buried the bones? And why? Ruth needs to solve the mystery of her new home - but the answers to her questions may lie in her own past. 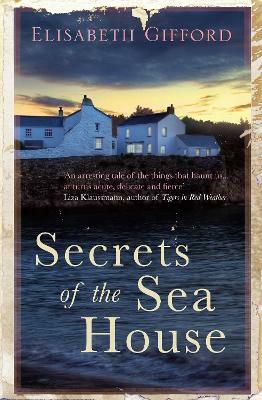 Based on a real nineteenth-century letter to The Times in which a Scottish clergyman claimed to have seen a mermaid, Secrets of the Sea House is an epic, sweeping tale of loss and love, hope and redemption, and how we heal ourselves with the stories we tell. Elisabeth Gifford grew up in a vicarage in the industrial Midlands. She studied French literature and world religions at Leeds University. She has written articles for The Times and the Independent and has a Diploma in Creative Writing from Oxford OUDCE and an MA in Creative Writing from Royal Holloway College. She is married with three children. They live in Kingston on Thames but spend as much time as possible in the Hebrides.